Today: Alice is using oat flour to make a cake so delicious that frosting would only be a distraction. And, added bonus -- it's gluten free. Who knew that oat flour had marvelous caramel and toffee notes? 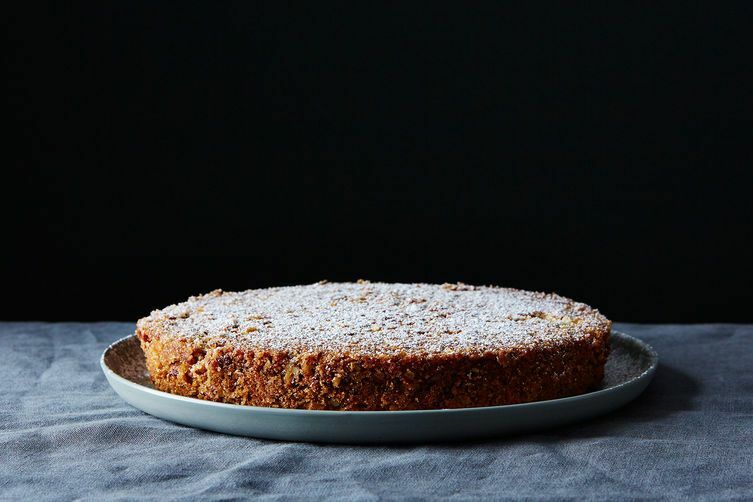 It makes a most delicious sponge cake -- this one is a genoise, actually. 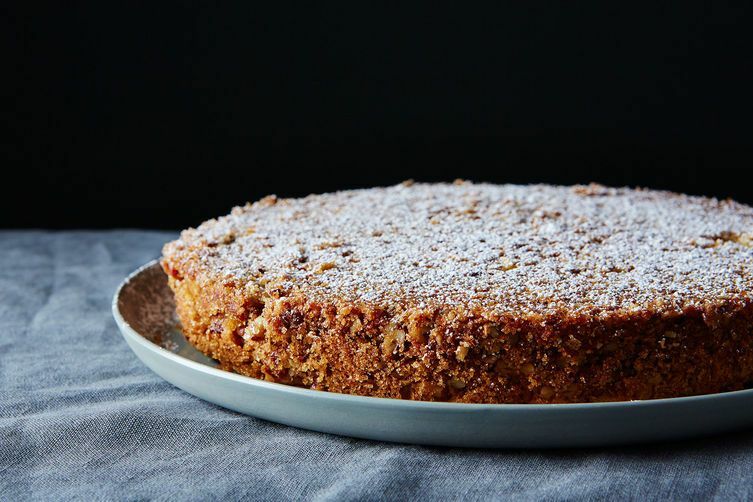 Editors often give me a hard time about plain cake (of which I’m a great fan). I have to be reminded that people love frosting, and photo editors always want some kind of finished look to things. So, my intention was to make a two-layer oat flour sponge cake and frost it with something between penuche and brown sugar buttercream. But every time I tasted the cake, I questioned the frosting. The cake comes together quickly and easily, but it does require your best folding technique. And, for smooth sailing from start to finish, do please set up the saucepan with butter, the bowls, and the strainers as instructed. You will have just enough time to brown the butter while the eggs are beating! *It’s fine to use ordinary brown sugar -- dark is more flavorful than light. If you want to go all out, use a real raw sugar such as light muscovado sugar. Big wow. Oats 'are' gluten free, however they can become cross contaminated if they're processed in a plant that processes wheat and other grains. This is something that I have to be aware of and I have no problems with Bob's Red Mill gluten free oats. This recipe looks great and I really look forward to making. Silly editors: there is, indeed, a selection of the public who don't particularly care for cakes or cookies that require frosting (aka: even more sugar and fat than they started with) in order to be appealing/tasty. The photograph of this cake is aesthetically pleasing and it does not need any frosting to be so. Kate M, Maybe the oats are gluten free? And why not answer the question asked by Susan F? susanfrankel - my point was that this cake is being presented as 'gluten free' and it isn't. Can another gluten free flour - maybe almond flour - substitute for the oat flour? Oats are not necessarily gluten-free, though it is possible to find gluten-free strains; please don't give a coeliac friend this cake without making sure you have used gluten-free oat flour. Thank you, thank you for the Cup to Gram Conversions. Now I'm going to cook a lot more recipes from your site.